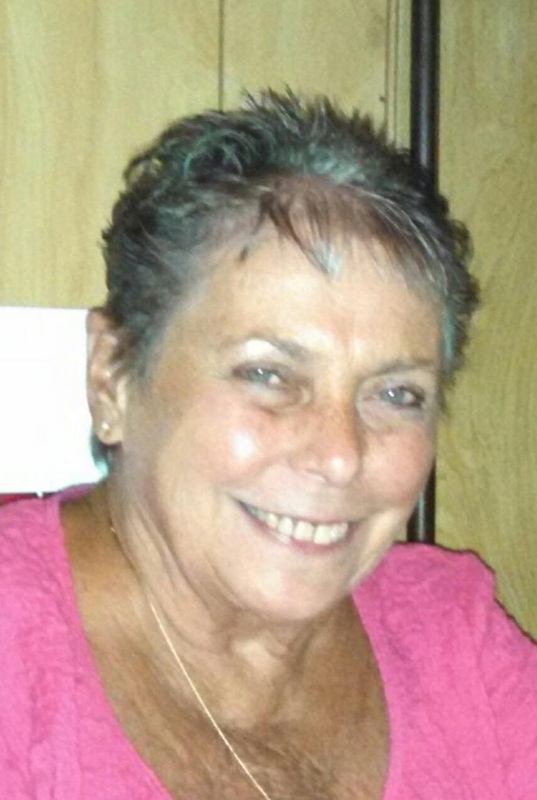 Linda R. Updegrove, 71, of 65 Euclid Avenue, Bradford, passed away at Thursday, February 7, 2019, at Bradford Ecumenical Home. Born July 31, 1947 in Bradford, she was a daughter of the late Charles L. and Ruth C. (Orlowski) Wedge, and Betty J. Hathaway. She attended Bradford Area Schools. Linda was employed at Zippo Manufacturing Company for over 37 years. She had attended the Asbury United Methodist Church. She was very active as a bowler in the local community and at the State level. She was a member of the Zippo Women's Bowling League as well as the Moose Lodge. She enjoyed rollerskating, snowmobiling, and pitching horseshoes. She loved the water and was a lifeguard in high school, she enjoyed boating, waterskiing and spending time with her friends at her pool. She was an avid Buffalo Bills fan and enjoyed watching them on TV. Her greatest joy came form spending time with family and friends. Linda is survived by one daughter Lori Ann Updegrove of Annville, one brother Clifton C. “Chuck” Hathaway of Dundee, NY, one sister, Gracie K. Williams of Rock Stream, NY, several nieces, and cousins including, Thomas Earl (Cindy) Hinckley of Fayetteville, GA, and Mary Ann (John) Hansen of Big Canoe, GA.
She was preceded in death by her parents, and one brother, George W. Yeaney. Friends will be received on Saturday June 1, 2019, from Noon to 1:00 pm in the Asbury United Methodist Church, at 1:00pm a Celebration of Linda's life will begin with Rev. Matt Blake, pastor officiating. Burial will be in Bolivar Cemetery. Memorial if desired may be made to the SPCA, P.O. Box 113, Bradford PA 16701 or the charity of the donor's choice. Lori, I am so sorry for your loss. Your Mom and I have remained friends since 8th grade. Even though I will miss her, I know she is in a far better place. May your cherished memories become your treasures. Thoughts and prayers. My visits to Bradford will not be the same without her smiles and support. Will miss her very much. Blessings to you Lori. So sorry for your loss, had lots of fun working, bowling with Linda. Prayers to you Lori, take care. So sorry for your loss Lori. Prayers of comfort for you and her family . I enjoyed talking and working with your mom at zippo. Linda was our neighborhood on Euclid Avenue. I haven''t seen her for years, but wish her daughter Lori & family love & prayers. Many close memories were shared with Linda ever since high school and almost 40 yrs of working together. Love and miss you till we meet again. The Class of 1966 sends sympathies to Linda’s family, especially her daughter who celebrated a class reunion with her Mother. We always thought that was special. She will be sincerely missed. Linda was my childhood friend. I last saw her in 1966. She was a wonderful person. Rest In Peace ?? So sorry to hear of Linda''s passing. We always seemed to connect at Hollenbeck-Cahills. At one time she was married to my cousin Rod. Such a nice person. We always had something to catch up with when we saw each other. RIP Linda. Prayers and condolences for Lori and family. Linda was a staple of our neighborhood and one of the few neighbors remaining from my childhood. Lori and I were classmates from the very beginning. Linda will be sorely missed. Lovely person and such a shining smile. Always beautiful. Blessings.